Bette Form bath is famous for its unbeatable performance and long lasting quality. Soak yourself in a warm and cosy bath with Bette Form super steel bath which is manufactured by a leading brand, Bette. 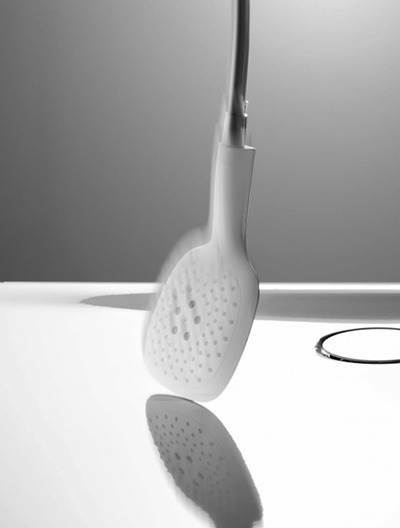 The pristine white finish will give a seamless blend with your existing bathroom setting. The superior quality titanium steel material is making this bath extra durable and more functional. It will elevate your luxury quotient as this single ended bath gives a perfect fit to your bathroom.There is No tap Hole in this bette bath and an anti-noised pad is fitted as a standard.It is a good heat conductor so it will give you a warm feeling in winters as heat can pass through it easily. Shape of this bath is rectangular.It can be filled up to 120 litres of water that is more than sufficient for a perfect bath. Optional Anti Slip Base and Bette Glaze make this Bath a special order and will increase the lead time by 2 – 3 weeks. Once Ordered, this order cannot be cancelled. If a bath with different options is selected from the dropdown, then delivery time may vary. If delivery time is crucial when selecting any of these baths please call us for a more accurate time. BETTEGLAZE® is designed with hygiene in mind. Due to its non-porous properties and glass-like surface, dirt and bacteria are unable to penetrate and damage your bathtub. This makes BETTEGLAZE® far superior to tiled areas and softer materials. BETTEGLAZE® utilises titanium-steel alloy, together with enamel, to create its unique finish. The bath’s surface is therefore highly heat conductive, meaning that it absorbs the heat of the bath water, including around the neck of the bath, allowing for a highly sensual bathing experience. The highly innovative design features of Bette baths utilising BETTEGLAZE® technology ensures that bathroom noise is kept to a minimum. The technology prevents loud reverberations from occurring, meaning that you can enjoy your soothing Bette bath in peace. 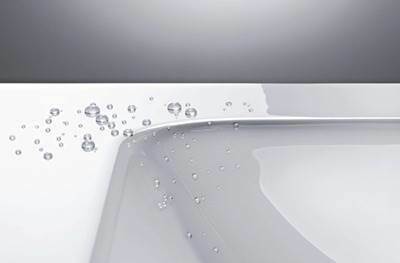 BETTEGLAZE® is designed to be the most robust bath surface imaginable. As such, you needn’t worry about accidents and spillages in your bathroom anymore. 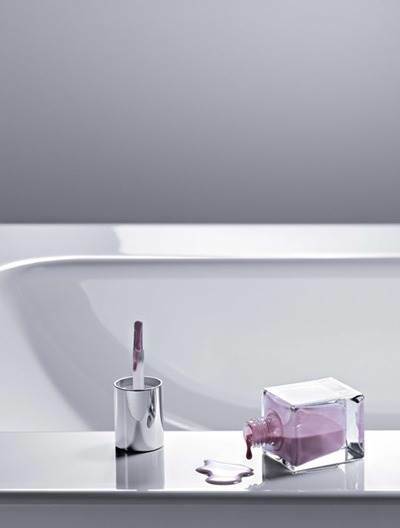 BETTEGLAZE® is fully resistant to all common chemicals found in the bathroom, including cosmetics, bath additives and nail polish. BETTEGLAZE® will stand up to the harshest of compounds and remain stain-free. BETTEGLAZE® has been designed to be highly scratch resistant. It is harder than marble, steel and plastic, and therefore it is highly unlikely that any abrasive items usually found in the bathroom will cause damage to it. 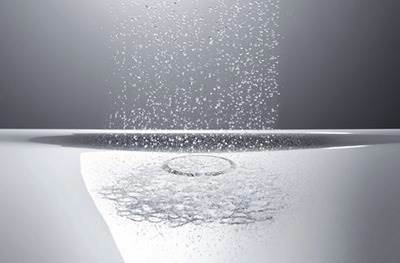 It will give you peace of mind to know that BETTEGLAZE® is resistant to the impacts of usual bathroom items being dropped onto its ultra-hard, ultra-thin surface. 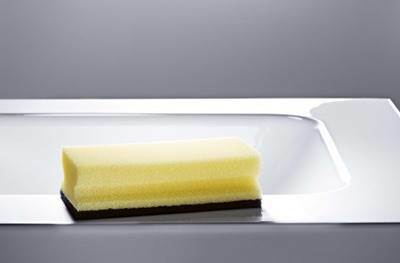 It is strong and resilient, like glass fibre, and will stand up to bathroom hazards like no other bathtub surface. The ergonomically shaped bolster provides pleasant support for your head, neck, arms or feet. 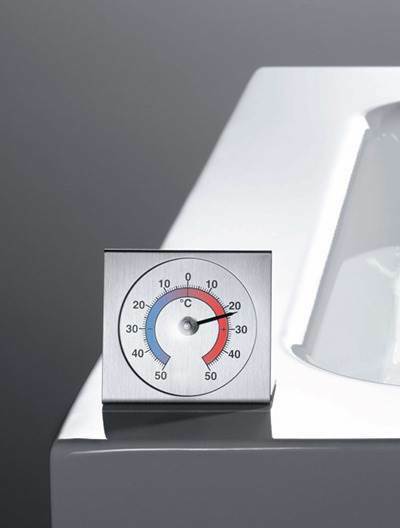 BETTERELAX was specially developed for steel/enamel baths and offers outstanding comfort for lying in the bath. Its flexible form fits snugly in many BETTEBATHS. BETTEGRIPS in many common bathroom surface finishes help you to get in and out the bath safely. The bath can optionally be fitted with them.